If you love music and are an active internet user, you must have heard the term EDM. You will see this term being used on music videos a lot. At the same time, you will see many people fighting over it. EDM stands for electronic dance music. The biggest controversy that surrounds this particular term is its wrong use. Many people use it to describe a genre when it is actually not. It is not a particular genre of music but an umbrella term that covers many music styles. However, it’s not that big of a sin to call it a genre itself. If someone asked you which type of music is the most popular music of the modern times, you can safely say EDM. Many people believe that Electronic Dance Music has only been introduced to the world in the past decade. This is not true because EDM has been around in one form or another for nearly 4 decades now. It has been around yet underground since 1970s. During this time EDM kept on gaining height and going underground again because people had not fully accepted it. Now, EDM is known globally and has a big influence on the mainstream music being created. EDM is all about DJs where most of what you hear on the track is played through electronic sounds. You will rarely or never see real instruments being used and the software does the work for DJs. When it comes to the listeners of EDM, they believe in PLUR. PLUR is a term that you will often hear EDM listeners use and it stands for peace, love, unity and respect. Each word in this acronym has its own meaning and interpretation for each listener. For some people this music is peace and for others, it’s the experience at being at a concert and forgetting completely about their routine lives. The most prominent music genres that are considered part of EDM are dubstep, dance, techno, disco, ambient, hardstyle, drum and bass, dub, moombahton, drumstep, funk,, etc. The list of genres that fall within EDM is so long you could fill pages with it. Some of the most known personalities of the EDM industry include names such as Kygo, Skrillex, Major Lazer, Diplo, DeadMau5, Tiesto, Afrojack, Carl Cox, Daft Punk, Armin Van Buuren etc. There are so many amazing artists that it is impossible to name them all. 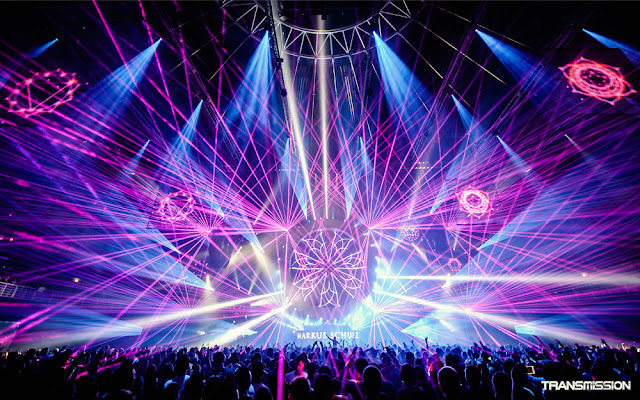 EDM musical concerts are known for being huge. Almost everyone at the show has some unique story for being there. These concerts are often stigmatized for being a haven for those who want to go “high”. However, that’s not the main reason for most to visit these concerts. EDM DJs continue to visit different parts of the world. The genre has become so big and popular that you will always have some concert being held near you. For example, just in the month of September there will be nearly a hundred EDM concerts held in Houston, Dallas and Austin, Texas. You can find some interesting posts at www.thegoodvibes.net in this regard.